Create detailed event level survey (single or multi choice, star rating, slider scale, text area /comment box). Add your first feedback question. Select the type of question you would like to ask. Adjust the visibility settings or schedule your event feedback visibility inside the app. 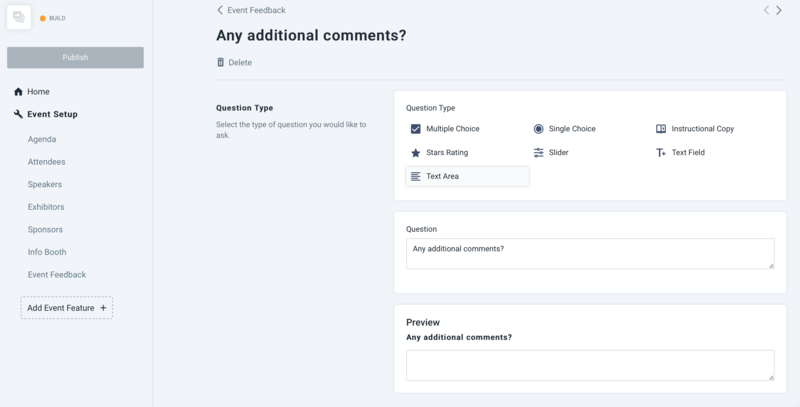 Visible: Your event feedback survey is visible inside the event menu of your event and your attendees are able to complete the survey. Not Visible: Your event feedback survey won't be visible inside your event menu. 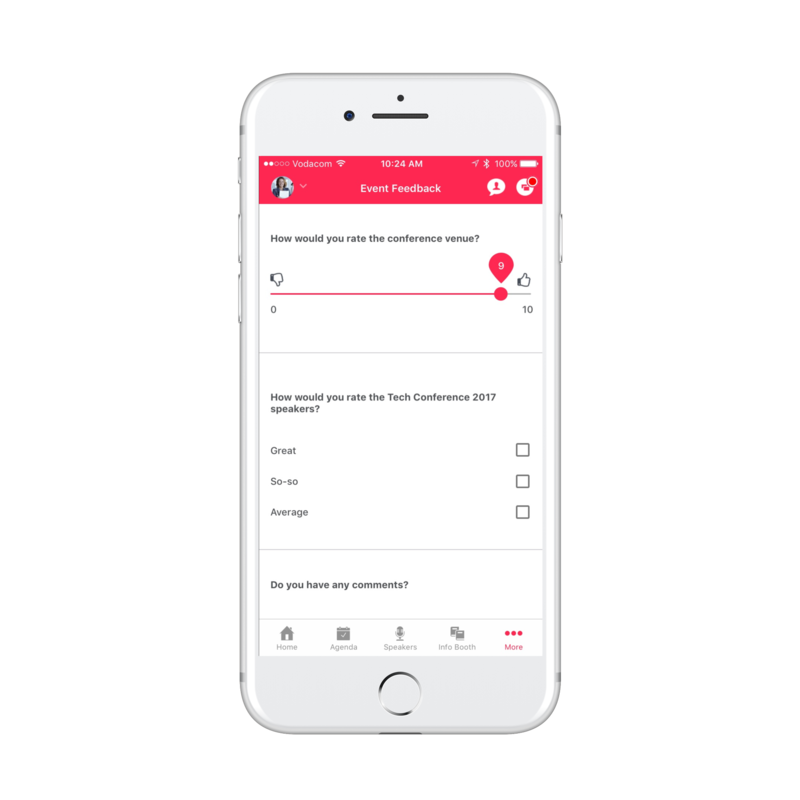 Schedule: Your event feedback survey can be scheduled to only be visible inside your app for a certain time. You'll need to schedule the start date/time and end date/time for the event feedback survey to be visible inside your app. The event feedback report is available to download directly from your App Dashboard. Go to your Reports and select the button 'Request Report' at Event Feedback Report. It takes about a minute to compile and you'll receive a download link by email.